At Pink Oatmeal we are passionate about physical activity for kids in the classroom and home! There is science behind this! Check out all the reasons brought to you by science why we need to get the kids moving. Research will be continually added. 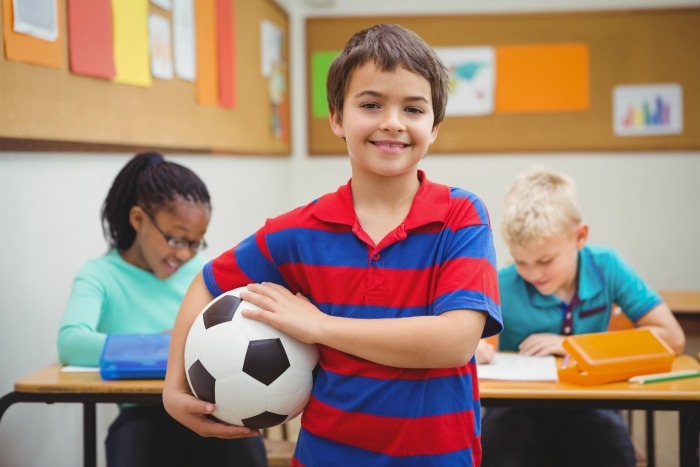 Ahamed Y, Macdonald H, Reed K, Naylor P, Liu-Ambrose T, McKay H. School-based physical activity does not compromise children’s academic performance. Med Sci Sport Exerc. 2007;39(2):371-376. Pesce C, Crova C, Cereatti L, Casella R, Bellucci M. Physical activity and mental performance in preadolescents: effects of acute exercise on free-recall memory. Ment Health Phys Act. 2009;2(1):16–22. Budde H, Voelcker-Rehage C, Pietrabyk-Kendziorra S, Ribeiro P, Tidow G. Acute coordinative exercise improves attentional performance in adolescents. Neurosci Lett. 2008;441(2):219–223. Coe DP, Pivarnik JM, Womack CJ, Reeves MJ, & Malina RM. Effect of physical education and activity levels on academic achievement in children. Med Sci Sports Exerc. 2006;38(8):1515-9. Donnelly JE, Hillman CH, Castelli D, Etnier JL, Lee S, Tomporowski P, Lambourne K, Szabo-Reed AN. Physical Activity, Fitness, Cognitive Function, and Academic Achievement in Children: A Systematic Review. Med Sci Sports Exerc. 2016 Jun;48(6):1197-222. Marques A, Santos DA, Hillman CH, Sardinha LB. How does academic achievement relate to cardiorespiratory fitness, self-reported physical activity and objectively reported physical activity: a systematic review in children and adolescents aged 6-18 years. Br J Sports Med. 2017 Oct 14. Gao Z, Hannan P, Xiang P, Stodden DF, Valdez VE. 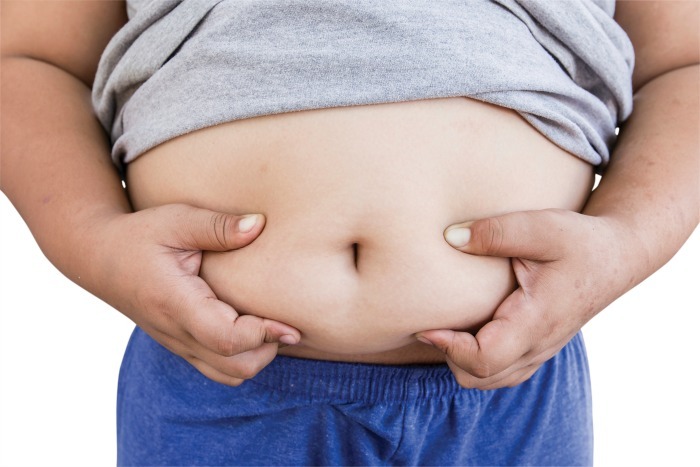 Video game-based exercise, Latino children’s physical health, and academic achievement. Am J Prev Med. 2013;44(3 Suppl 3):S240-S246. Carlson SA, Fulton JE, Lee SM, et al. Physical education and academic achievement in elementary school: Data from early childhood longitudinal study. Am J Public Health. 2008;98(4):721-727. Budde H, Voelcker-Rehage C, Pietrabyk-Kendziorra S, Ribeiro P, Tidow G. Acute coordinative exercise improves attentional performance inadolescents. Neurosci Lett. 2008;441(2):219–223. Tomporowski PD. Effects of acute bouts of exercise on cognition. Acta Psychol. 2003;112(3):297–324. Kibbe Dl, Hackett J, Hurley M, et al. Ten years of TAKE 10! 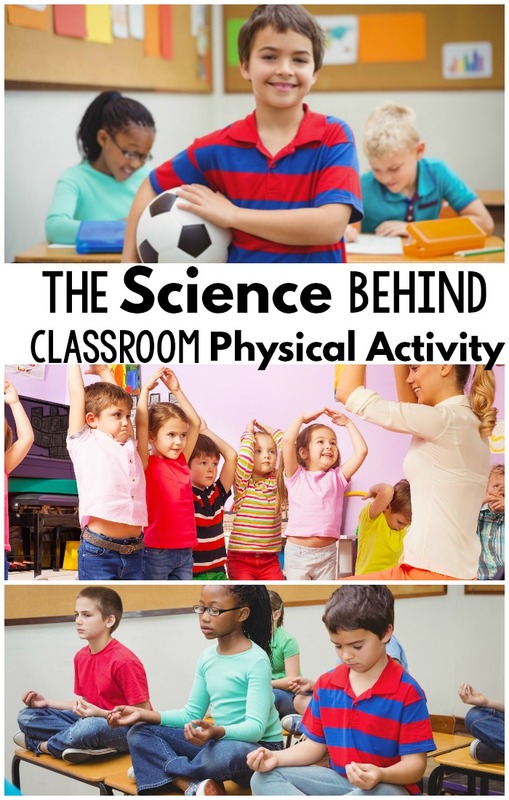 : integrating physical activity with academic concepts in elementary school classrooms. Prev Med. 2011;52(Suppl 1):S43-S50. Caterino MC, Polak ED. Effects of two types of activity on the performance of second-, third-, and fourth-grade students on a test of concentration. Percept Mot Skills. 1999;89(1):245-248. Mahar MT, Murphy SK, Rowe DA, Golden J, Shields AT, Raedeke TD. Effects of classroom-based program on physical activity and on-task behavior. Med Sci Sports Exerc. 2006:38(12):2086-94. Mahar MT. Impact of short bouts of physical activity on attention-to-task in elementary school children. Prev Med. 2011 Jun;52 Suppl 1:S60-4. doi: 10.1016/j.ypmed.2011.01.026. Epub 2011 Jan 31. Carlson JA, Engelberg JK, Cain KL, Conway TL, Mignano AM, Bonilla EA, Geremia C, Sallis JF. Implementing classroom physical activity breaks: Associations with student physical activity and classroom behavior. Prev Med. 2015 Dec;81:67-72. doi: 10.1016/j.ypmed.2015.08.006. Epub 2015 Aug 19. Strong WB, Malina RM, Blimkie CJ, et al. Evidence based physical activity for school-age youth. J Pediatr. 2005;146(6):732-737. Kamijo K, Khan N, Pontifex M, et al. The relation of adiposity to cognitive control and scholastic achievement in pre adolescent children. Obesity. 2012;20(12):2406-2411. doi:10.1038/oby.2012.112. Geier AB, Foster GD, Womble LG, et al. The relationship between relative weight and school attendance among elementary school children. Obesity. 2007;15(8):2157-2161. Langford R, Bonell C, Jones H, Campbell R.Obesity prevention and the Health promoting Schools framework: essential components and barriers to success. Int J Behav Nutr Phys Act. 2015 Feb 13;12:15. doi: 10.1186/s12966-015-0167-7. Folleto JC, Pereira KR, Valentini NC. The effects of yoga practice in school physical education on children’s motor abilities and social behavior. Int J Yoga. 2016 Jul-Dec;9(2):156-62. doi: 10.4103/0973-6131.183717. Noggle JJ, Steiner NJ, Minami T, Khalsa SB. Benefits of yoga for psychosocial well-being in a US high school curriculum: a preliminary randomized controlled trial. J Dev Behav Pediatr. 2012 Apr;33(3):193-201. doi: 10.1097/DBP.0b013e31824afdc4. Butzer B, LoRusso AM, Windsor R, Riley , Frame K, Khalsa SBS, Conboy L . A Qualitative Examination of Yoga for Middle School Adolescents. Adv Sch Ment Health Promot. 2017;10(3):195-219. doi: 10.1080/1754730X.2017.1325328. Epub 2017 May 14. Mendelson T1, Greenberg MT, Dariotis JK, Gould LF, Rhoades BL, Leaf PJ. 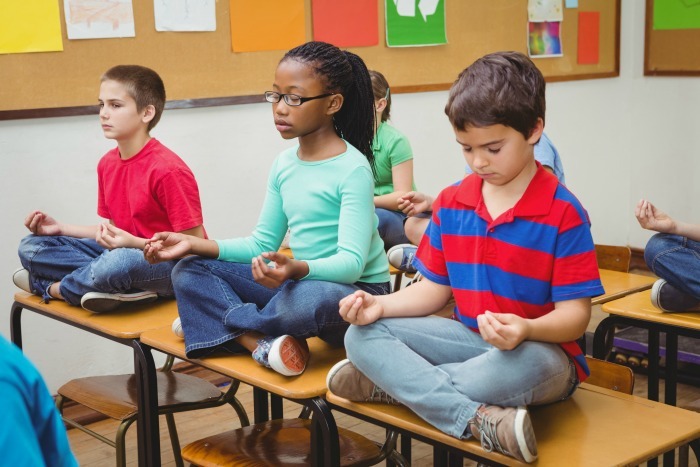 Feasibility and preliminary outcomes of a school-based mindfulness intervention for urban youth. J Abnorm Child Psychol. 2010 Oct;38(7):985-94. doi: 10.1007/s10802-010-9418-x. Kayli Routhier-Martin, Sherron Killingsworth Roberts, Norine Blanch. (2017) Exploring Mindfulness and Meditation for the Elementary Classroom: Intersections Across Current Multidisciplinary Research. Childhood Education 93:2, pages 168-175. Bethany Butzer, Amanda Marie LoRusso, Regina Windsor, Frankye Riley, Kate Frame, Sat Bir S. Khalsa, Lisa Conboy. (2017) A qualitative examination of yoga for middle school adolescents. Advances in School Mental Health Promotion 10:3, pages 195-219. Elizabeth J. Erwin, Kimberly A. Robinson. (2016) The joy of being: making way for young children’s natural mindfulness. Early Child Development and Care 186:2, pages 268-286. Laura Feagans Gould, Jacinda K. Dariotis, Mark T. Greenberg, Tamar Mendelson. (2016) Assessing Fidelity of Implementation (FOI) for School-Based Mindfulness and Yoga Interventions: A Systematic Review. Mindfulness 7:1, pages 5-33. Karen Milligan, Alexandra Irwin, Michelle Wolfe-Miscio, Lisa Hamilton, Linda Mintz, Marg Cox, Martin Gage, Shelley Woon, Marjory Phillips. (2016) Mindfulness Enhances Use of Secondary Control Strategies in High School Students at Risk for Mental Health Challenges. Mindfulness 7:1, pages 219-227. Bethany Butzer, Denise Bury, Shirley Telles, Sat Bir S. Khalsa. (2016) Implementing yoga within the school curriculum: a scientific rationale for improving social-emotional learning and positive student outcomes. Journal of Children’s Services 11:1, pages 3-24. Peck, Heather L; Kehle, Thomas J; Bray, Melissa A; Theodore, Lea A. Yoga as an Intervention for Children With Attention Problems School Psychology Review; Bethesda Vol. 34, Iss. 3, (2005): 415-424. Khalsa SB, Butzer B. Yoga in school settings: a research review. Ann N Y Acad Sci. 2016 Jun;1373(1):45-55. doi: 10.1111/nyas.13025. Epub 2016 Feb 25. Serwacki ML, Cook-Cottone C. Yoga in the schools: a systematic review of the literature. Int J Yoga Therap. 2012;(22):101-9.